William Turner and his beloved Elizabeth Swann ally with Captain Barbossa on the Black Pearl. 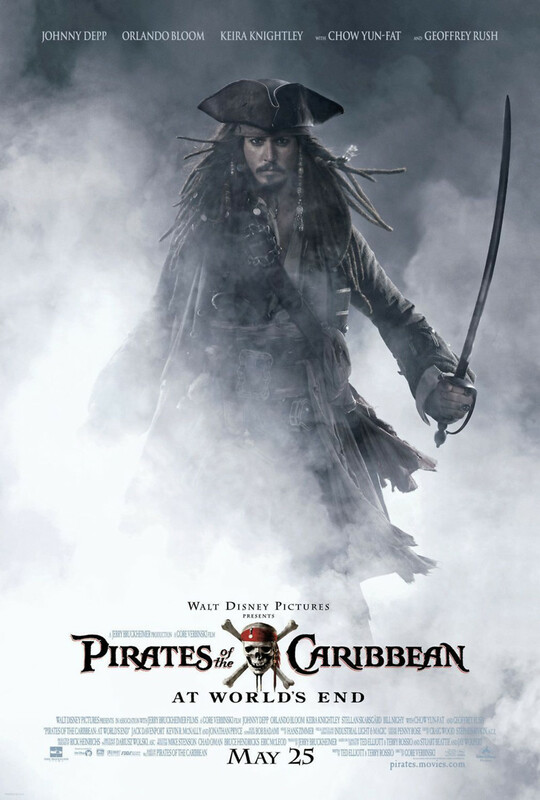 The infamous Jack Sparrow is rescued by his friends from Davy Jones' locker, and, in return, he helps them form allies in the upcoming battle against the East India Trading Company, which is led by the likes of Lord Beckett. Lord Beckett has teamed up with Davy Jones to rid the seas of piracy forever. In the midst of all the treachery and deceit, Will reveals to the mysterious Calypso that Davy Jones betrayed her, and Calypso unleashes a mayhem never seen before by the seafaring brethren.